The compressible mixing layer is an important physical model to describe the mixing enhancement in scramjet combustors. The downstream coherent structures are normally regarded as the main contribution of the entrainment in the compressible mixing layer. In this study, three cases of the compressible mixing layer of convective Mach number Ma = 0.4 are numerically simulated through the Lagrangian coherent structure (LCS) method to show that the entrainment process in the compressible mixing layer is closely related to the upstream hidden structures termed as the “entrainment formation structures”. The entrainment formation structures consist of a series of inclined control bodies that are identical and nested to one another upstream the compressible mixing layer. In combination with the separation of the flow properties of coherent structures, the entrainment characteristics in the compressible mixing layer can be evaluated by the inclined control bodies of the upstream entrainment formation structures in the upper and lower fluids. Furthermore, with the quantitative analysis of the spatial position of the upstream coherent structure, the entrainment ratio is determined. 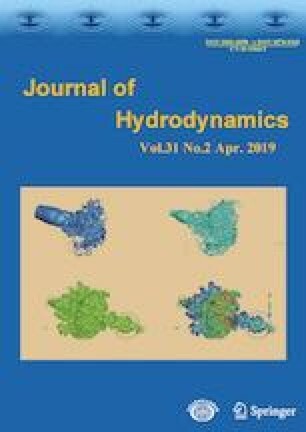 The study of the entrainment formation and its characteristics helps the effective control of the entrainment performance in the compressible mixing layer. Project supported by the National Natural Science Foundation of China (Grant Nos. 91741113, 91841303).